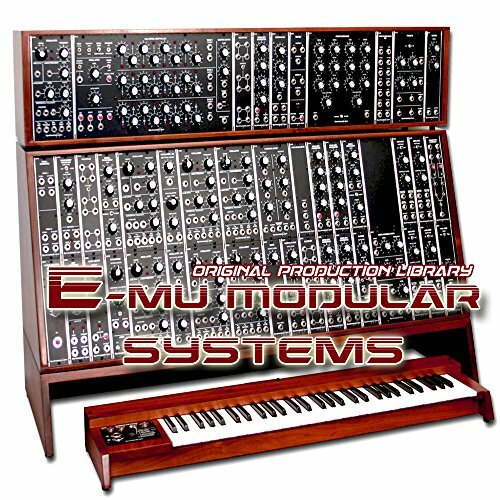 E-mu MODULAR SYSTEMS - Large Original Samples Studio Library over 1,300 objects & elements - Multi-Layer 24bit/44.1kHz WAVEs (WAV.) and KONTAKT (NKI.) Samples/Loops. Great for DANCE music production; FREE USA Continental Shipping on DVD or download; if you prefer to save time and download your purchase, please let us know; THE Legendary E-mu MODULAR Sounds: Strings & Brass, Piano, Bass & Guitar, Drums & Cymbals, Organs, Sequencers, Leads, Beats, Synth Basses, Mallets & Percussion, Vox, FX & waves; >>>>>>>>>>>>> TOP-STUDIO RECORDED & MASTERED, MAPPED, READY FOR DOWNLOAD AND SUCCESSFUL WORK. 100% royalty FREE!. We offer a HUGE unique collection of hard to find, very rare instruments and sounds, production kits, loops and grooves and many other TOOLS for successful and quality work, music composing and creating, pre/post production. All original samples in WAVEs format, single and multi-layer, mapped and ready for download and work: LEGENDARY MELLOTRON, ARP-ODYSSEY, ARP SOLINA STRINGS, JUPITER-8, MATRIX12, MINIMOOG, HAMMOND, WURLITZER, RHODES PIANO. This ultimate collection offered is an excellent for any musician at any level, for anybody looking to get into sample-loops-based music/recording, are designed to grow and expand with you into complete and professional sounds. Very easy to work: recording, looping and creating perfect sound. E-mu MODULAR SYSTEMS - Large Original Samples Studio Library over 1,300 objects & elements - Multi-Layer 24bit/44.1kHz WAVEs (WAV.) and KONTAKT (NKI.) Samples/Loops. Great for DANCE music production; FREE USA Continental Shipping on DVD or download; if you prefer to save time and download your purchase, please let us know!